Thank you for visiting our website! Please enjoy the coupon code “TENN10” for $10 off any item online, excluding custom cabinetry and appliances. Hermitage Lighting Gallery is Nashville’s largest lighting showroom, just a 15-minute drive from most malls. We have been Nashville’s first choice for Lighting, Appliances, Hardware, Custom Cabinetry and Plumbing, for more than 70 years. 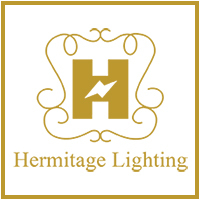 Don’t miss these great deals and find the best pricing you can at Hermitage Lighting Gallery.